Espoo, 30 January 2017: Nagarro announced the expansion of its operations in the Nordics with the opening of a new office in Espoo, Finland. With this expansion, Nagarro has enhanced its presence in the Nordics. The customers can now leverage Nagarro’s high-end technical and business capabilities from within the region and also take advantage of their global sourcing model. 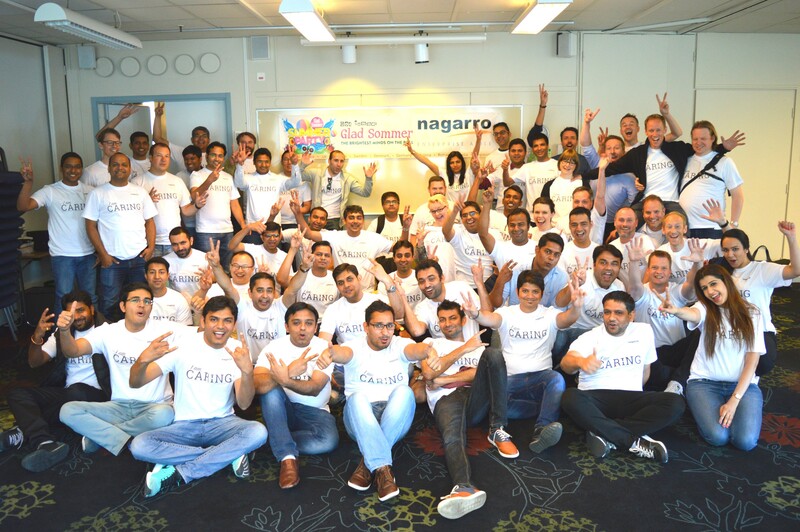 “We are happy to have assisted Nagarro in establishing a new office in Finland. Finland has become a hotspot for R&D and testing and the government strategy to support the digital economy has created a very interesting marketplace for high-tech and innovation. Nagarro specialises in complex IT solutions which require closely integrated teams working with the customers. Nagarro’s entry coincides with high-tech companies seeing their first successes but they will need help to go to the next level.” says Lars Hagebris, Director and Senior Advisor at Invest in Finland / Finpro. Nagarro powers the competitive dynamics of its customers. The engagement model is endorsed by several long term partnerships within the region. Nagarro's risk managed outsourcing model is successfully at work with leading BFSI, Telecom and IT Services customers in Finland. “Nagarro is excited to power the Finnish innovation and entrepreneurial spirit. Our new Finland operation is a strategic expansion in the Nordics that provides our customers with an integrated and local engagement model. Our investment in top IT talent with high aptitude has allowed us to create teams that not only understand the business drivers for our customers, but also bring in new technology perspectives, sometimes challenging the usual norms. So it is no surprise that we are trusted with projects in outsourced innovation and R&D by our customers. The Nordic region is an integrated economy on its own. Often when we work for an internationally leveraged customer in one country, it impacts the other countries within the region. This sometimes is the test bed before a global launch. We are very glad to have four offices across the Nordic region today, along with local staff.” says Joydeep Dash, Head of Nagarro’s Nordic operations. Nagarro provides technology services for digital disruption to both industry leaders and challengers. When our customers want to move fast and make things, they turn to us. We combine design, digital and data to help them outperform the competition. We distinguish ourselves by our agility, imagination and absolute commitment to our customers’ business success. Some of our customers include Siemens, GE, Lufthansa, Viacom, Estee Lauder, ASSA ABLOY, Ericsson, DHL, Mitsubishi, BMW, the City of New York, Erste Bank, T-Systems, SAP and Net Ent. Working with these customers, we continually push at the boundaries of what is possible through technology, and in what time frame. Today we are more than 3500 experts across 12 countries. Together we form Nagarro, the global services division of Munich-based Allgeier SE. To know more visit insights.nagarro.com.